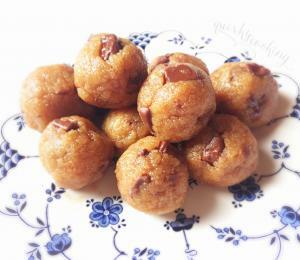 Aptly named, as these little balls of flavour are very blissful. 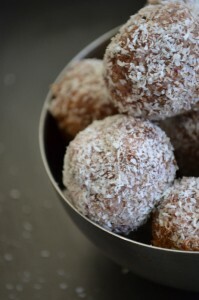 They are fantastic as a healthy alternative to lollies for kids (and big kids). 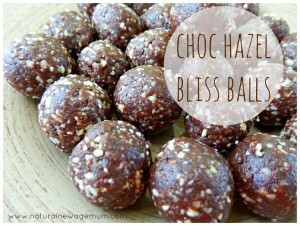 Bliss balls are great to pop in lunch boxes or to have after dinner if you have a sweet craving. Just remember that most bliss balls do contain a lot of dried fruit and nuts so are a concentrated form of nutrients. Try to restrain yourself to one or two. I put mine in the freezer so I am not tempted, although they do taste good frozen! 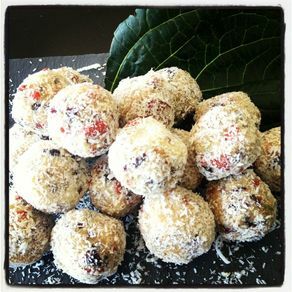 Lime and Goji Bliss Ball from Simone at Nourishing Hub. 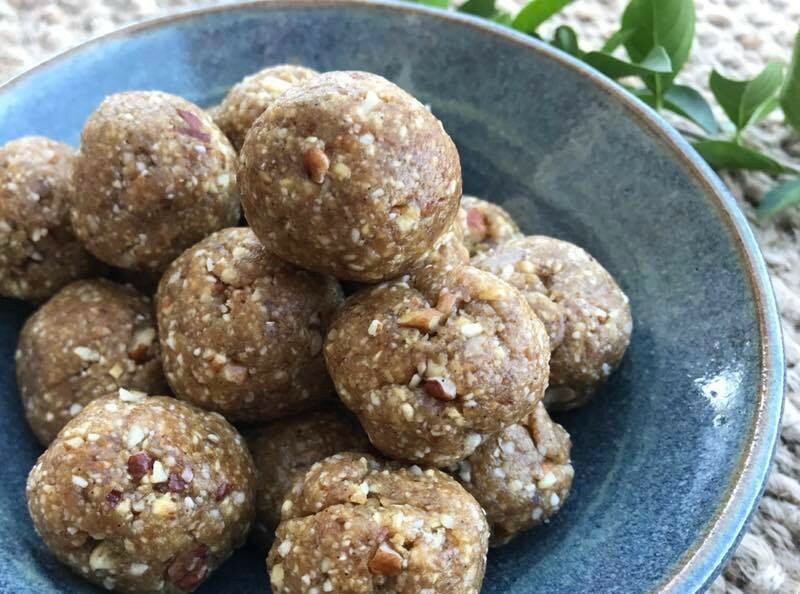 Bliss Balls from Iwa at Additive Free Bites. 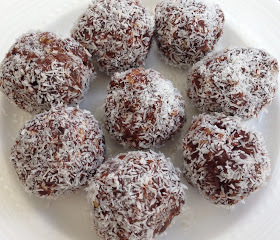 Apple and Cinnamon Bliss Balls from Brenda Janschek Health and Lifestyle. 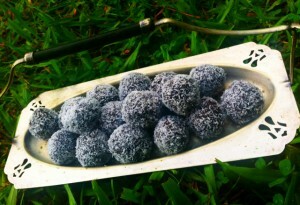 Strawberry Ripe Balls from Jane at Marinya Cottage Kitchen. 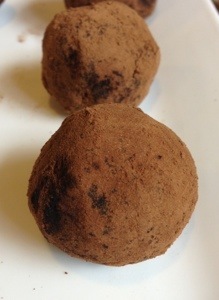 Bonus recipe: My Pecan Salted Caramel Truffles. 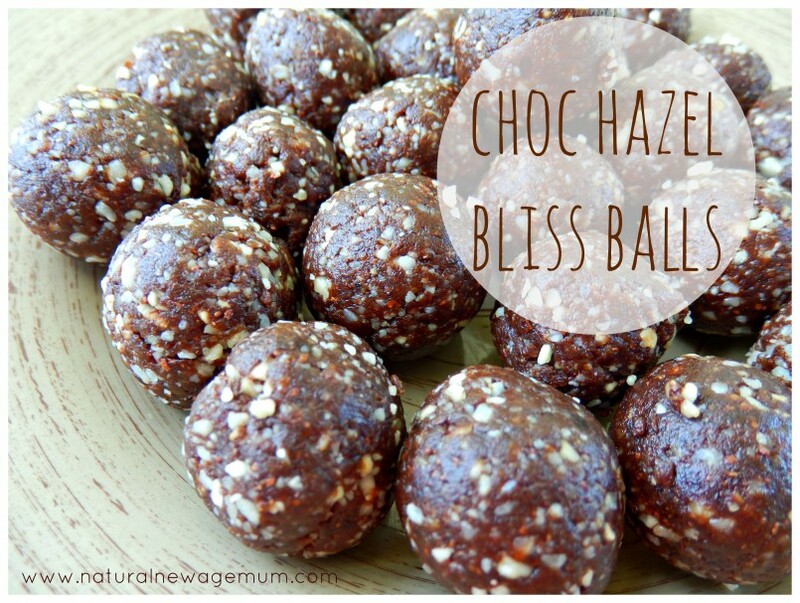 Do you have an awesome bliss ball recipe? Please link up with us! What a gorgeous array and I like your freezer tip!! thanks for the magic maca balls Bek – they will be sparking up love lives all over Oz! I have also been experimenting with a date, cacao, coconut oil and dried blueberry combo which has been awesome…the more superfoods the better, right? thanks Jules! 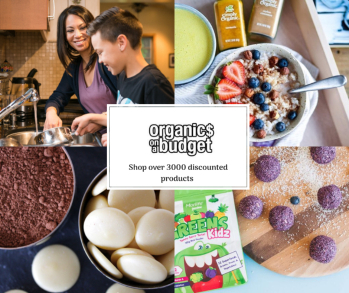 I love dried blueberry – have you found some without additives? They all look delish – what to try first? thanks a lot for sharing these……..
Oooo la la! You had me at Ferrero Rocher! I’ll be giving each and every one of these a go. report back with your thoughts Sophie! I just uploaded a recipe myself! 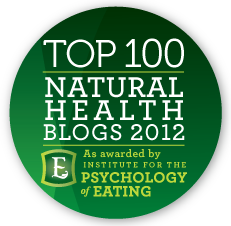 Will have to try some of these and check out some of these great blogs. 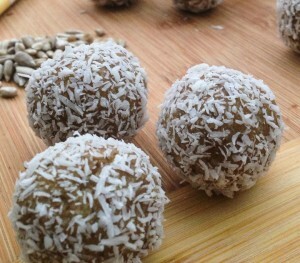 Lots of hemp seeds and some mojo maca powder in my Powerballs. Yum Robyn – I just bought hemp seeds the other day but haven’t used them yet, so I will try them out in your recipe. Thanks for linking up with us. You’re a genius! These all look great – will definitely be trying out a few. let me know what you think – do you have a recipe? What a scrummy round up. Thank you! Thankyou all for your contribution..we are doing a 30day challenge at work,this may encourage them to make it a lifestyle change for good! yes!! healthy food is also yummy! There can never be enough bliss balls! my children would agree with you! there are always bliss balls in our fridge! can’t wait to try some of these new recipes! 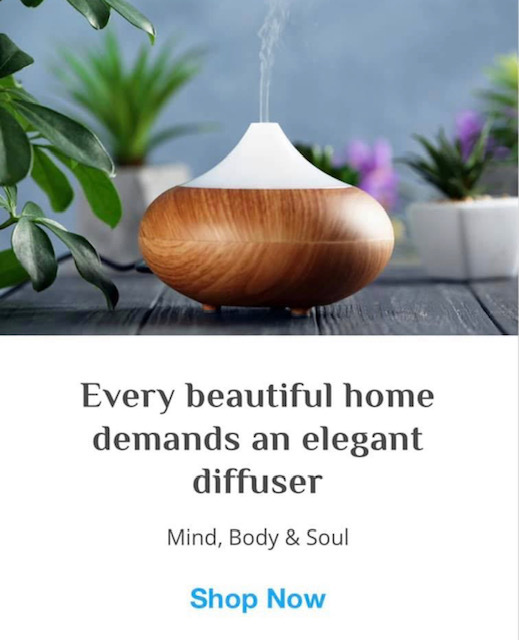 Thanks for sharing Jo – will check them out! 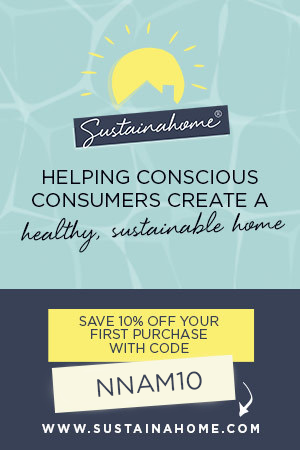 Hi, the link for the raw lemon bliss balls is broken? So much wanted that one <3!